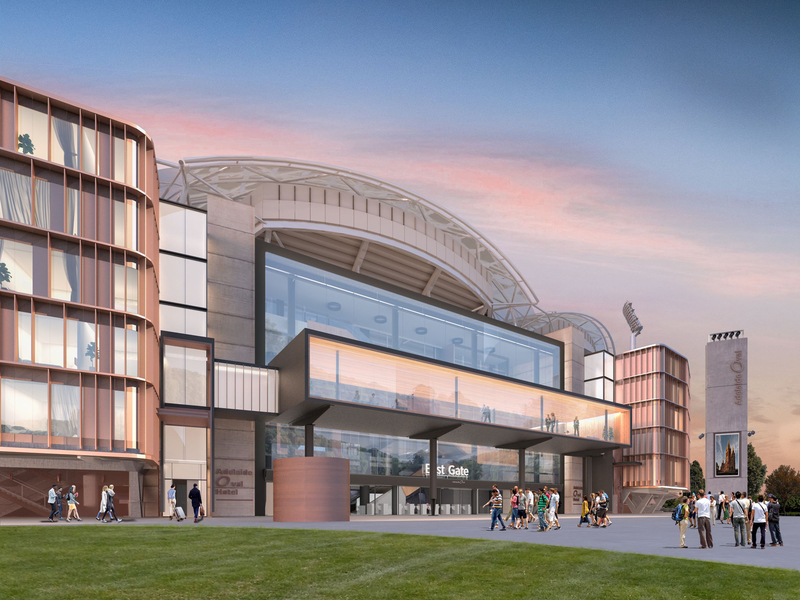 Adelaide Oval will be the first stadium in Australia to feature an integrated hotel. The design is being overseen by COX Architecture and project managed by Mott MacDonald, the same team responsible for the award-winning redevelopment of Adelaide Oval. The 128-room boutique hotel will feature two wings that will integrate into the existing design on either side of the East Gate. They will be linked by an elevated foyer and lounge pod with views into the east atrium and out to the parklands and city skyline. The hotel will integrate with the Eastern Stand, celebrating its parkland setting and context. It will maintain the current scale and proportion of built form, retaining views of the seating bowl and roof structure. “South Australia has a history of firsts, not the least of which was the redevelopment of Adelaide Oval itself. It set new standards and has driven the investment other states are now making in their own facilities," says Cox Architecture director Adam Hannon. “We have deliberately designed the hotel to fit as unobtrusively and seamlessly into the design, retaining the magnificent views while not impacting the experience for gameday patrons. Construction is anticipated to commence in May 2019 and is expected to complete in June 2020 before opening in August 2020.